Are wondering why it is taking you a long time to rank on your keyword? Keyword ranking is the gem of internet marketing; it shows your relevance in the web community. The search engine is programed to provide relevant information to the web surfer; the algorithm program is designed to comb the web to provide relevant or related information. Search engines does not index all pages on the internet, that is to say not all pages are relevant. The ultimate goal of the search engine is to provide value to the web surfer who wants information. If the information provided is not relevant, the search engine will lose its relevance overtime. That is why much emphasis has been on quality, value and relevance. Duplicate content: Does your site have duplicate or similar articles on a topic, with variations of keywords? You have a domain called. http://howtostretchachinglegs.com your write about stretching your legs and aching legs in 4 different ways. Drilling down your post it is similar and appears you have spurned content on your site. Is your content original, sometimes paid writers scrub the web for content and spin, sometimes the search engine is intelligent to determine trends? Copyscape can help you detect this anomaly. Quality content: What is the quality of information you are giving your readers, can you personally vouch for the information in the post, if an expert is to grade you will it be found satisfactory. The depth of the topic covered also tells a lot content with 600 to 1000 words with well structured layout are usually considered an expert view. Well you do not need to be an expert; an amateur photographer might blog about the skill learnt during a raining photo season and still gain credibility. The post must be well prepared, researched and edited for any grammatical errors. Does it provide genuinely correct details, data and fact? E.g. Maples in to Canada. Are you using plr content? You run the risk of using similar content with several users. Are you using the Google keyword tool to randomly pick keywords to rank for traffic? Shoppers trust: I can relate to this, I only shop on site I can trust, does your site look like one that can be trusted. There are seals and badges that revamps confidence, does your site have one. I bet if your visitors are comfortable using their credit card on your site, your site can be trusted by search engines. Commercials: If you have excessive ads plastered all over your site, affiliates link overshadowing your post you might get a big knock for that, search engines might perceive you are interested in the money and not the value. As such it will be considered annoying to the visitors. You need to be moderate, do you know that some sites does not need AdSense, while some works best with CPA. Avoid the guessing game and stick to a monetization plan. Sensitive Niches: There are some niche you should tread carefully; information provided can have great impact on lives either for good or bad. Health is one, If you are a professional would you vouch for information on your site. How much do you know about the niche? Social Sharing: Search engines look out for social recommendation of your site, the volume of friends and followers is a plus. But most important is the way the share the information, do they recommend it, tweet or suggest it to friends. Trust and Value: An article with value would rise above other pages on the search engine result. Factors to consider are complete and detailed information while the depth and relevance information of the article is also important. Will you article fit into print media, can it be referenced in a book. You can only get this recognition if you pay attention to details and substance. Age of the domain: This is no longer relevant, new site rank higher than older sites nowadays. Page Rank: If your site has a great content and properly optimized for the search engine. You will rank higher on your keywords than sights with higher page rank. 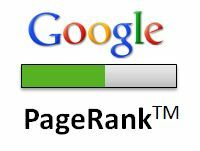 Page rank actually denotes the number of reference you have received from authority sites. Backlinks: is a product of page rank, do you know that 5 do follow links from a PR5 is better than 3000 links from a PR2 site. Do your best to get a higher do follow backlink. Depending on relevance you may rank higher than a sight with more backlinks. Optimize your page to be SEO compliant. Download our check list below. Get your backlinks from PR4 sites and above. Few but more. 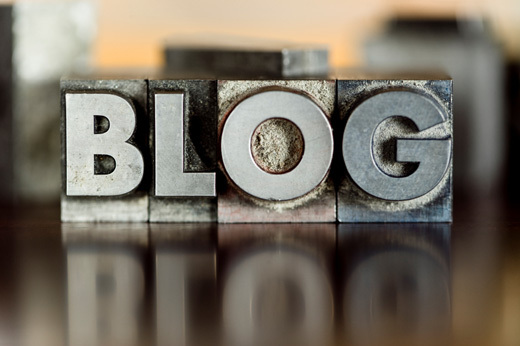 Engage your visitors and readers socially, encourage sharing. Yes you still need to do your keyword and competitor analysis. Traffic Travis does that. Use SEO friendly URL – does this look like your site http://mysite.com/?t=34 change it to something like this http://mysite.com/topic. Get traffic using alternative to search engine ranking, you will be a force to reckon with. You can do more and hope for the best, be focused and persistent. Reading this long post shows your readiness to make a difference. However you need time, I know after taking all necessary steps I won’t be asking you why is it taking you a long time to rank your keyword. Do not hesitate to share this post to help other like you. Feel free to share your thoughts.